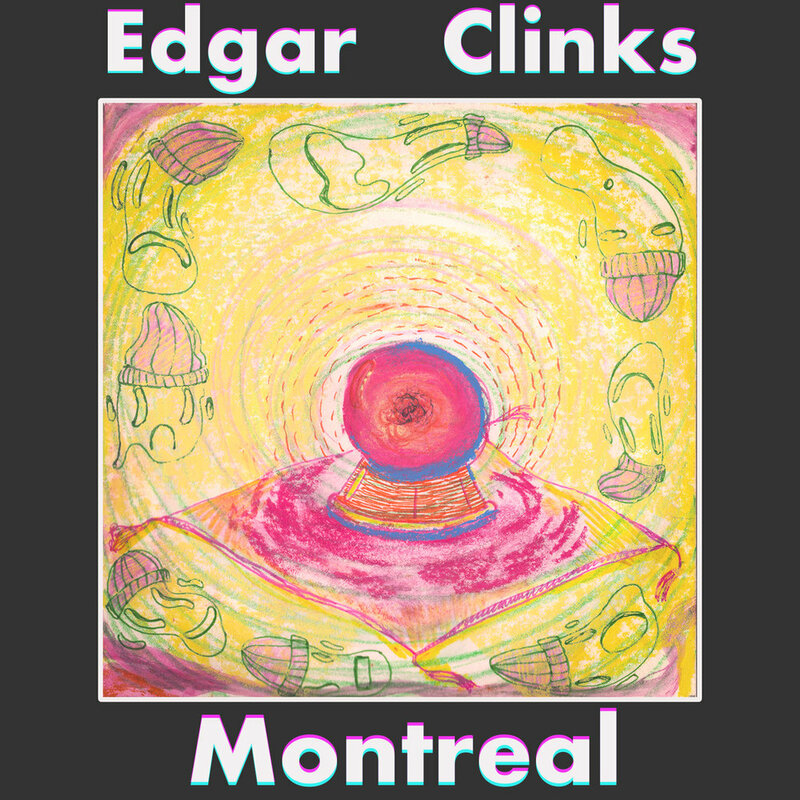 When we last caught up with Edgar Clinks, the band was moving from their home in Providence to their home in Philly, and now it would seem the band have resided somewhere in-between, in a little town called Brooklyn. In that time, the band, led by Joe Gaudiana, released Milk Puddle via Super Wimpy Punch and while they work on a new full length record, we've been presented with an excellent "between releases" single, the delightfully bent pop Summertime smash, "Montreal". Leaning heavily on Gaudiana's knack for warped psych slithering its way into otherwise jangly pop, "Montreal" is energetic, full of delicate harmonies, and layered with fun. There's skronky fuzz, there's big sing-a-long moments, gang vocals and pitch shifted vocals, definitive statements ("I'm surprised that I'm alive at all"), and an infectious hook that rhymes the exceptional phrases, "most of the time I'm extraterrestrial darling" and "when I get to New York I'll be dissolving all my problems". It's a song that truly does it all, parading by in a glorious spectrum of technicolor pop charm that's as strange as it is lovable. The melodies are easily accessible and the vibes are ever shimmering, even with less than joyous sentiments. It's a good ol' pop song, skewed and twisted, but a pop song nonetheless.